The Clash were one of the first UK punk bands in the 1970s and one of the more diverse. The band achieved some mainstream success too with a few of their later records before the band splintered apart and members went their separate ways (or put out one final album under the Clash name which was as crappy as its title). While I was never much of a fan of some of their later reggae-influenced material, there is no denying the first few albums were pretty stellar not just as punk records, but as rock records in general. The LP was originally released way back in 1977 on Columbia/CBS Records in the UK. For nearly two years the only way for fans in the United States to acquire a copy was as an import as it wasn’t released in this country until 1979. When it was finally released domestically however, the track listing was drastically changed. Songs were removed and replaced with different songs. The only thing that remained the same was the cover art. The label felt that the album wasn’t “radio-friendly” enough so they replaced some of the original songs with newer b-sides and used a different version of “White Riot”. For many Americans who didn’t know about or have access to an import version, this was the only version of the album they knew or grew up with. The album eventually went out of print in the vinyl format as inferior mediums like CD’s and cassettes were forced upon the music buying public and the only way to enjoy this album as it was meant to be heard was scouring used record stores looking for a copy. About five years ago the LP was reissued in america on the vinyl format for the first time in a couple of decades but it was again only the US version. 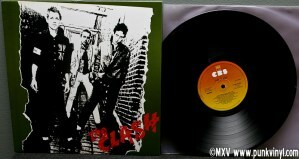 Sure it came on 180gm vinyl but it still wasn’t the true original first Clash album. 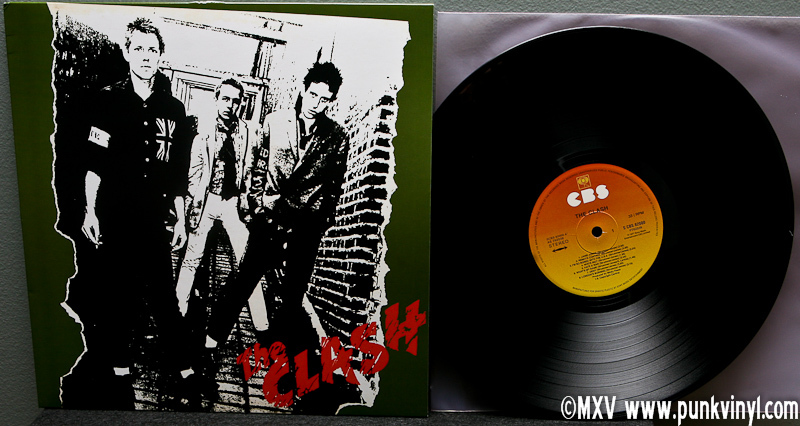 This miscarriage of justice has finally been corrected as Drastic Plastic Records have done America a solid by reissuing the first Clash LP with its original track listing and cover art on vinyl. The label spared no expense in presenting this either. First of all the record was remastered and it sounds as full, punchy, and clear as ever. Whoever cut this record did a fantastic job and is worth his weight in gold. The record is pressed on 180gm black vinyl. It weighs a ton and is a rock solid piece of vinyl that will last a lifetime. 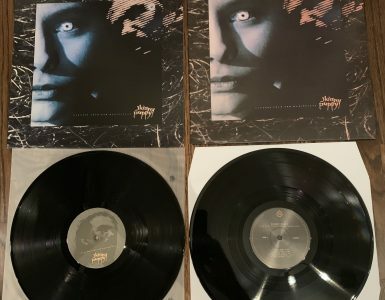 The labels look just like the originals did and so does the cover art both front and back with the only differences being some new copyright information and label information. The cover stock is also very high-quality and is a thick glossy stock. 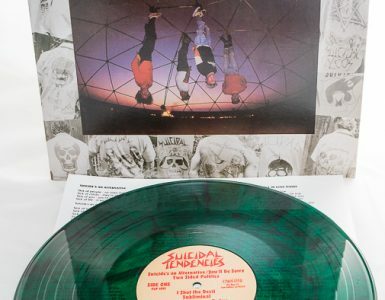 This is easily the best vinyl version ever produced of this legendary and influential punk rock album and even if you already own it, it’s worth the upgrade for a minty-fresh copy that sounds better than the original pressing. 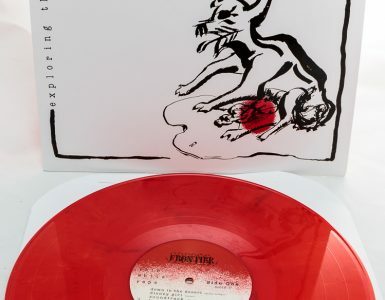 Kudos to Drastic Plastic for giving such loving attention to such an important record and for finally giving the United States the true version of the first Clash album.